Gastroparesis can make meals stressful. This is a collection of recipes that I generally consider "safe foods". 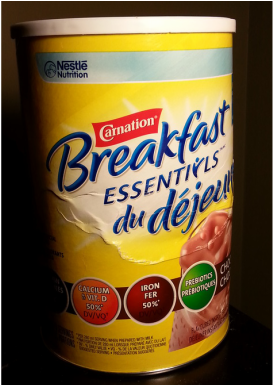 In my opinion, Chocolate Carnation Instant Breakfast tastes almost exactly like regular chocolate milk. It tastes better than any other meal replacement I've tried. I was excited to discover that they sell big tubs of Carnation Instant Breakfast at Walmart! It's $14 for 22 servings, which is so much cheaper than any other type of meal replacement. I always use skim milk as it's easier for my Gastroparesis. 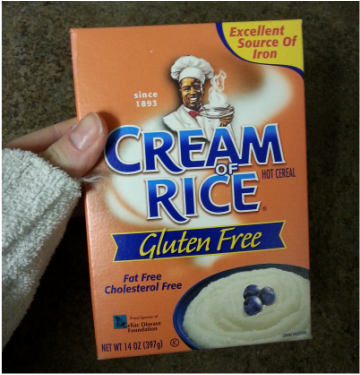 If you want extra calories try using homogenous milk or add skim milk powder. My Mom made me these muffins when I was recovering from surgery. They didn't last long! Very filling and easy on the stomach. Preheat oven - 400 degrees. Eggs are great for POTS because they hide salt well. During a flare up I may just use egg whites or mix 1 whole egg with egg whites. 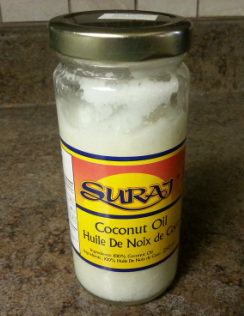 Coconut oil is great for the digestive system. It is also a very healthy type of fat. My dietician recommended that I add 1/8 tsp to my oatmeal every day. You can hardly taste it and it's very easy on the stomach. After cooking the oats, add the coconut oil and stir it in well. 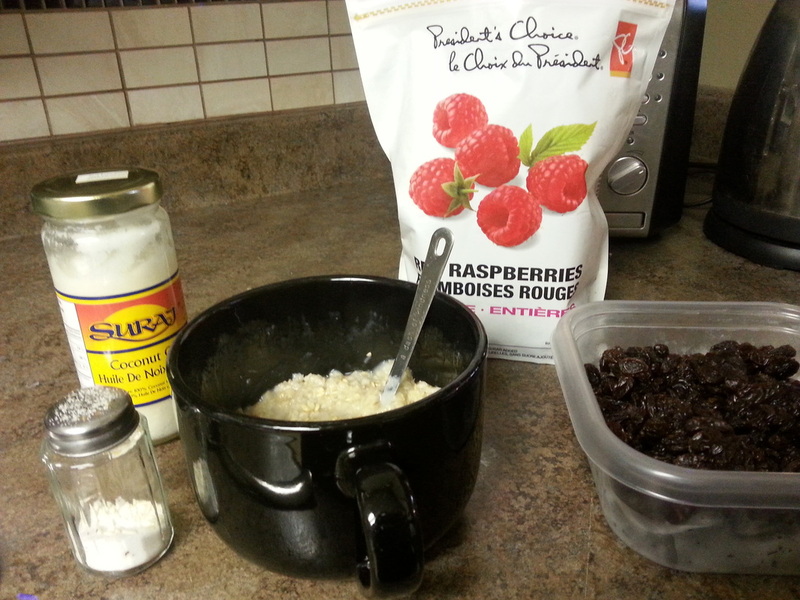 Next add the frozen raspberries and mix them into the oatmeal. After about 30 seconds they should be fairly defrosted. Then I add the salt and raisins. Finally I add the milk last. I usually leave the milk on top of the oatmeal and don't bother mixing it in. There are so many possibilities with oatmeal though! I love experimenting with new combinations. This just happens to be my go-to combo. This is not so much a "recipe", because all you do is add water and microwave. But it's one of the BEST meals for an upset tummy. There are many variations you can make with this porridge. My personal favourite is Skim Milk with Frozen Berries. I also usually add 1/8 tsp of Coconut Oil, if my stomach is willing to tolerate it. During a flare up I LIVE on this stuff. We haven't been able to find it in Canada though, so I stock up when I cross the border. 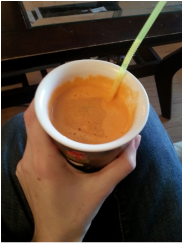 If you have Gastroparesis, you gotta try juicing! 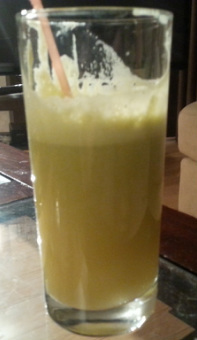 A good juicer removes most of the fiber from the fruits and vegetables, leaving only the water and nutrients. People with Gastroparesis have a difficult time digesting fiber. 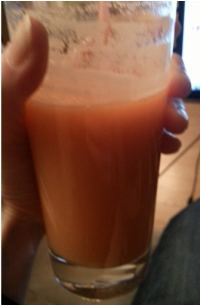 I was becoming malnourished until we invested in a juicer last year. expensive produce like berries, grapes, etc. 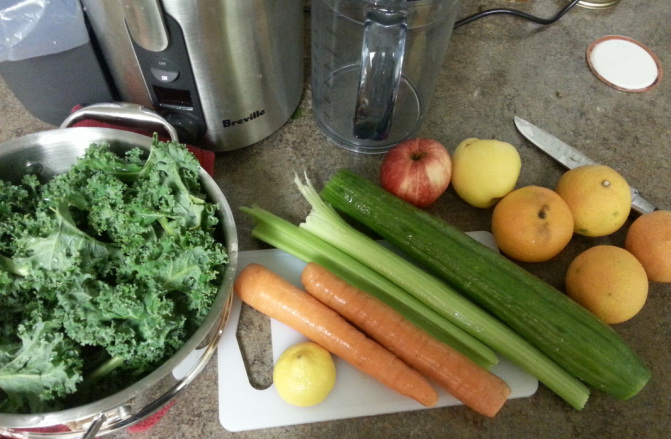 I would recommend spending a little more on a juicer that is easy to clean. Mine is dishwasher safe and only takes me a few minutes to clean. 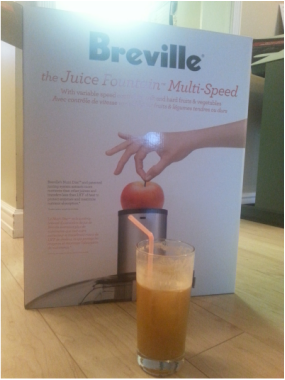 If you have Gastroparesis, try to look for juicers that remove most of the pulp. 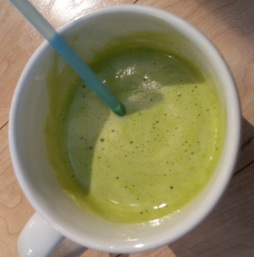 Do you have a favourite Juicing Recipe? Please share in the comments below! This was a fun project I did for my sister's 21st Birthday. 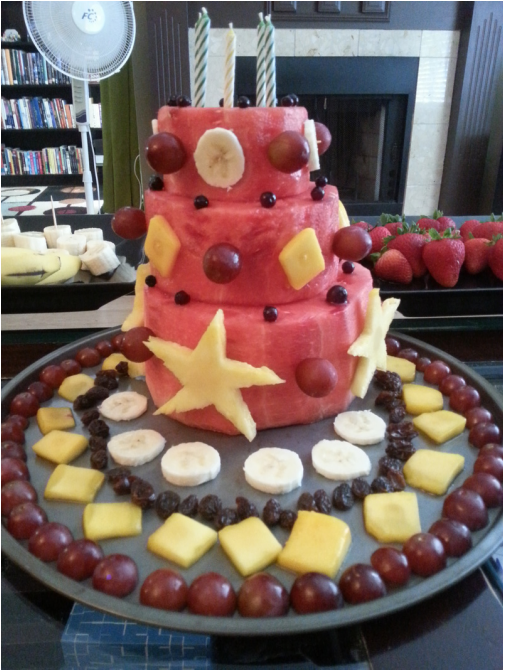 A healthy alternative to the traditional birthday cake, and perfect for someone with a refined sugar intolerance. I found this recipe at www.averiecooks.com a while ago and it is one of my favourite recipes of all time! I've modified the original recipe slightly. Preheat oven to 400F. 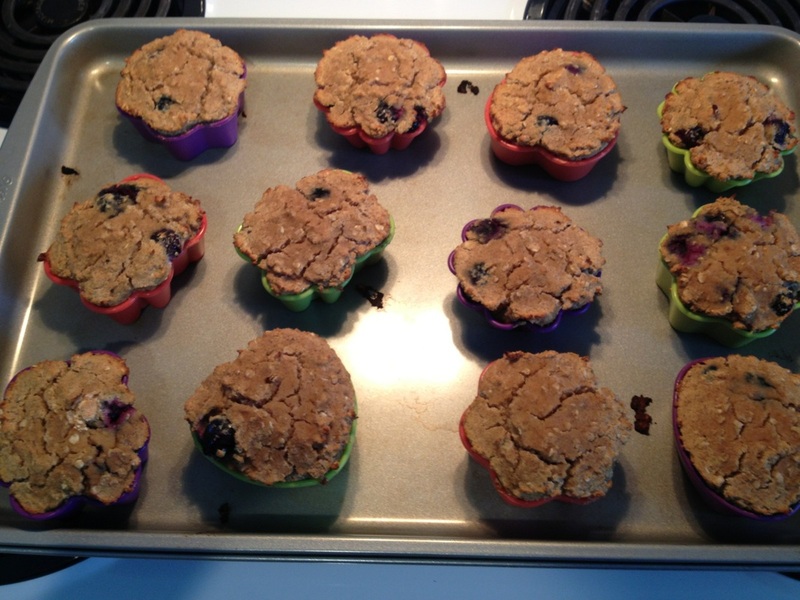 Prepare mini muffin pans by filling them with mini muffin cups. Use a hand mixer to blend all the ingredients until creamy, about 1 minute. Bake for 8 or 9 minutes. 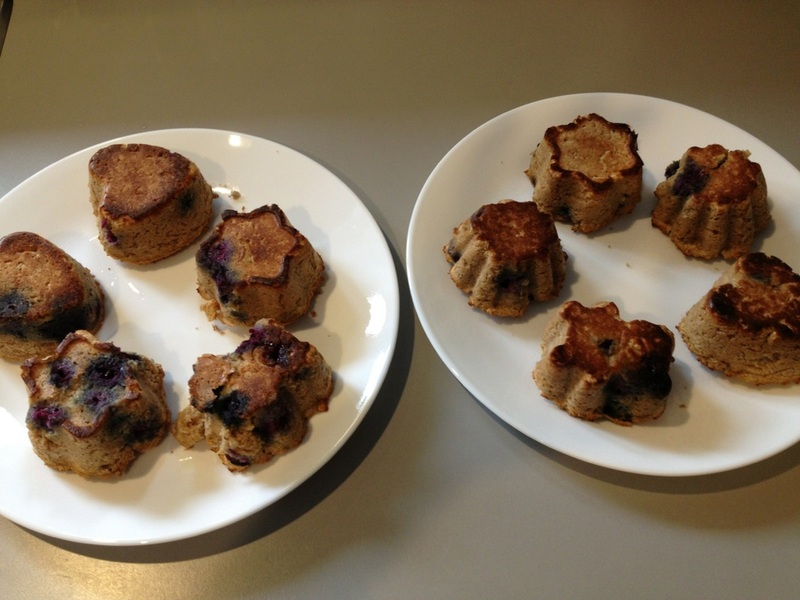 Muffin tops should be springy to touch and an inserted tooth pick should come out clean. Cool in pan for 10 mins. Muffins stay fresh for 5 days and can be frozen for up to 4 months. 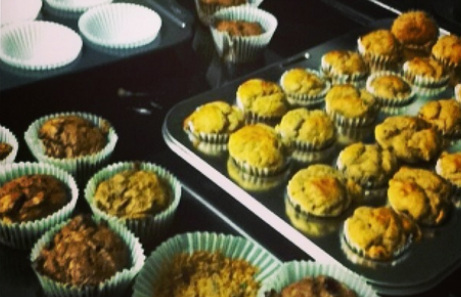 My sister makes these muffins often and has added things like broccoli, avocado, carrot, spinach... The flavour of the muffins does a good job of hiding the taste of vegetables. I usually make 7 or 8 times the recipe and freeze large bags of muffins for later.